1) Links will follow you to other machines that you log into. Note: with a local profile, only your M:\ drive will follow you. 2) Links reduce the risk for viruses and malware. 2. 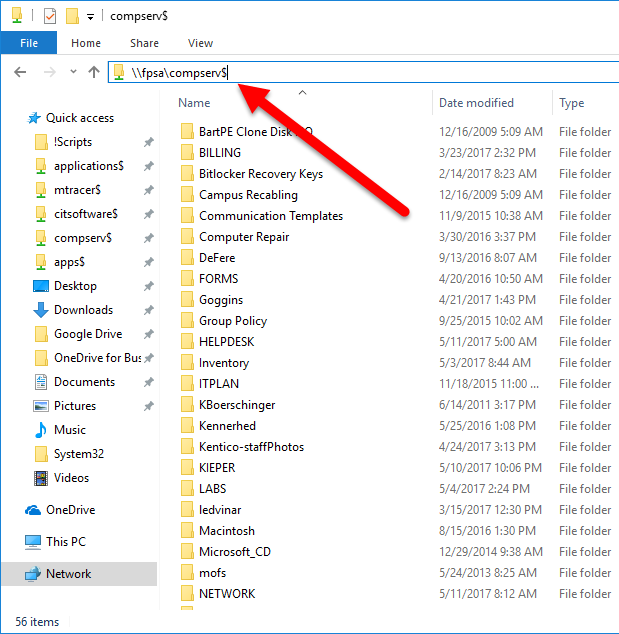 Click on the symbol within the Quick Access Address Bar of Windows Explorer. 3. 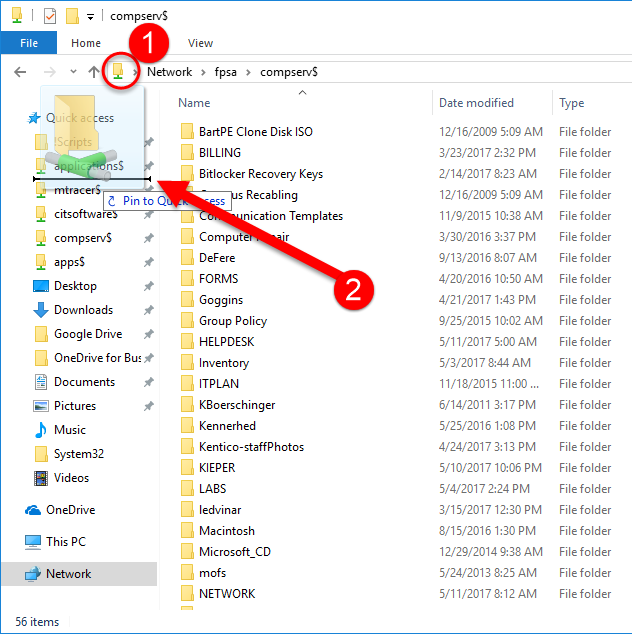 Type the location of the mapped drive; for example, \\fpsa\compserv$ and then press ENTER. 4. Drag the location onto Quick Access. 5. The new link will now appear in your list of quick access links (bottom position). You may drag items into whatever order of items you'd like. 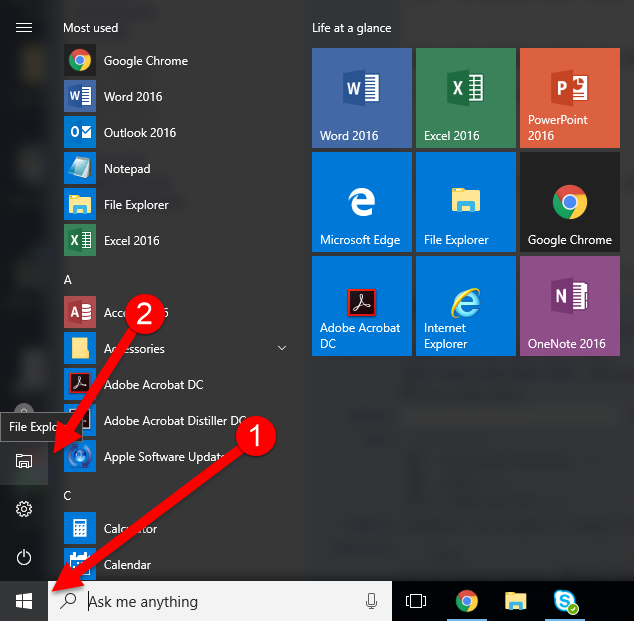 Note: in Windows 10, you will not be able to rename the quick access links.